On May 10, 2006, Dave Baksh announced in a statement through his management company that he was leaving Sum 41 to work with his new band, Brown Brigade, which has a more “classic metal” sound. Baksh cited “creative differences” as the reason for his departure but claimed that he was still on good terms with the band. On March 9, 2010, Steve Jocz confirmed that new lead guitarist Tom Thacker will take part in the writing and recording. On April 18, 2013, drummer Steve Jocz announced he would be leaving the band via his official Facebook page, leaving Whibley as the sole founding member of the band. 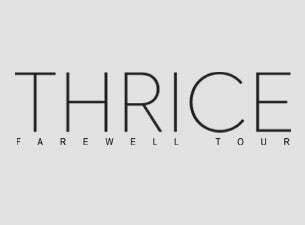 Their follow up album will be the band’s second collaboration as a trio and first with Whibley and McCaslin as the only two bandmates from their original release left. Website: www.sum41.com Read more on Last.fm. User-contributed text is available under the Creative Commons By-SA License; additional terms may apply. 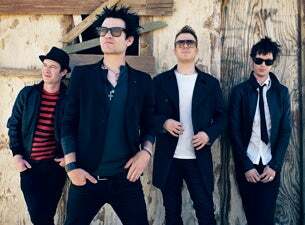 Here are some industry leading presale databases we recommend you use if you're in need of a Sum 41 presale password to buy early tickets to see Sum 41 performing live. Getting your tickets early is a great way to get great seating and secure your tickets before they sell out during the public onsale.